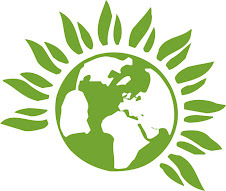 Haringey Green Party Blog: 'Insider Trading', Anyone? "The Green Party is also very concerned about the strong role of one or two private companies in advising the government about the development of welfare to work proposals, particularly in relation to the restructuring of incapacity-related benefits,(see Jonathan Rutherford here) It seems extraordinary that so much attention has been given to the views of a company which is on record as saying that it sees the UK benefits system as one of its major markets for the future; one would expect advice to have been taken from a wider and more balanced range of sources. As Rutherford’s paper shows, the credibility of Unum — formerly Unum Provident - has been badly damaged by having been prosecuted for fraudulent business in the USA." Mike Shaughnessy refers in a previous post on this blog to the housing benefit implications of the ConDems' welfare reform plans, and the high cost of rents in London and South-East England as a major factor in this. The Welfare Reform Bill is not alone in making the prospect of homelessness worse for the least comfortably off. The ConDems' agenda in the Localism Bill includes restricting local councils' housing stock. More here. Whether this might be a case of real 'unintended consequences' or a covert agenda, who might gain from this move to greater dependency on the 'buy to rent' market? Ironically, while asylum seeking families have been scapegoats for a clamp down on both security of tenure for social housing and local councils' housing stock, the winners in the compendium of ConDem 'joined up thinking' include offshore landlords who regard the UK as part of their 'global village', as Mike McNabb has clearly outlined. In targeting a Somali family as undeserving beneficiaries of UK government funds, the Daily Mail conveniently overlooked who really gains by the hiking of rent in a Tory borough as case study material for informed policy-making. As McNabb has written: "What we should be more concerned about - because the Mail evidently is not - is the doubling of the rent from £1,050 last year to the maximum available now under housing benefit rules. "The landlord, a company based in the British Virgin Islands, is not named in the report. Neither is anyone questioned about the hiking of the rent, which seems to have coincided with the arrival of Abdi Nur and his family. So who is playing the system now? 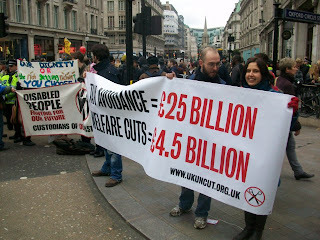 Co-author with Anne Gray of the Green Party's response to Labour's Welfare Reform Green Paper of 2008.